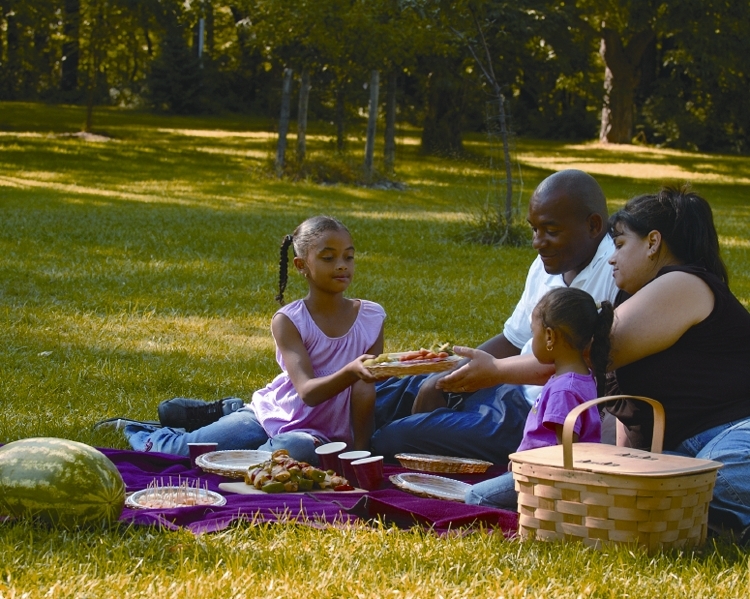 But, you also might be like many of us who have found that ecological- and socially-conscious living can be surprisingly more difficult in rural communities than in urban contexts. The infrastructure simply doesn’t exist in most rural communities to accommodate the behaviors we have come to associate with sustainable living: commuting by public transportation and bike, recycling, and even buying from local farmers. Take, for example, my hometown in rural southern Illinois, where there is absolutely no infrastructure for recycling, no public transportation, and local grocers sell produce from California and Chile instead of from local producers. While the local grocery store is within walking distance, and most children live less than a mile from their elementary schools, the main streets of town are devoid of sidewalks and bike lanes. Without sidewalks and crosswalks, crossing an intersection of two busy roads on foot is difficult and dangerous and not something most people feel comfortable doing– let alone letting their children do. So, even environmentally committed parents find that protecting their children from the very specific and immediate dangers of speeding traffic takes priority over protecting the Earth from the very nebulous and complex dangers of climate change. When rural infrastructure doesn’t support sustainable choices (and actually discourages them), trying to act on a commitment to sustainable living can be difficult and disheartening. But, moving to the city to pursue a more sustainable lifestyle isn’t an option for most people. So, what’s an ecologically-minded person to do? We started gathering recyclables at the church, and one of our group members would haul them away in his big truck once a week to the nearest recycler. We organized a carpool calendar so that we could coordinate carpools for those of us who commuted the forty miles into St. Louis several times a week. At the local youth center, we worked to install a community garden and mentor the children and teenagers on how to tend it. We purchased durable plates and silverware to be used instead of disposables at our church potlucks. We built bike racks and offered free classes on bicycle safety. For Earth Day, we organized a special public service in a city park and developed a handout that encouraged sustainable behaviors and helped people locate places to recycle and drop off household hazardous waste. In short, we combined our resources, tools, and interests and offered them for the good of the community. And we encouraged and supported each other along the way. Today, that small rural community has curbside recycling because they petitioned city hall for it. Before I moved to Portland, I was able to attend the first city hall meeting where the issue was considered. The room was overflowing with people I knew and people I had never seen. These people came from many different political persuasions, socioeconomic backgrounds and ideological contexts. Only one of them spoke to oppose the implementation of curbside recycling. The ordinance was passed unanimously in 2009. Updates from my friends in the community about their sustainability endeavors continue to inspire and encourage me. I offer this story as inspiration and encouragement to those of you in rural contexts, as well. Your actions toward a sustainable lifestyle might be very different than the ones I mentioned here. Maybe you’ll start a bulk foods co-op or local farmer’s market, or start cooking meals together, or start a plastic bag reduction campaign. The winter edition of our print newsletter, also titled EarthMatters, is here. Click the icon to download an electronic copy of our newsletter. Inside you’ll find the powerful “Beyond Oil: Nature and Adaptation” piece by David Gessner, information about our upcoming 2011 conference, and much more. We hope you enjoy this edition of EarthMatters! As part of the Moral Ground Movement, Kathleen and over 100 other contributors ask the question, What will move people to act to save their beloved Earth? To learn more about this movement, join in a conversation with Scott Russell Sanders, Kathleen Dean Moore, and Bill McKibben on January 18 at 7 pm eastern time to discuss the moral imperative of taking action on the climate crisis. 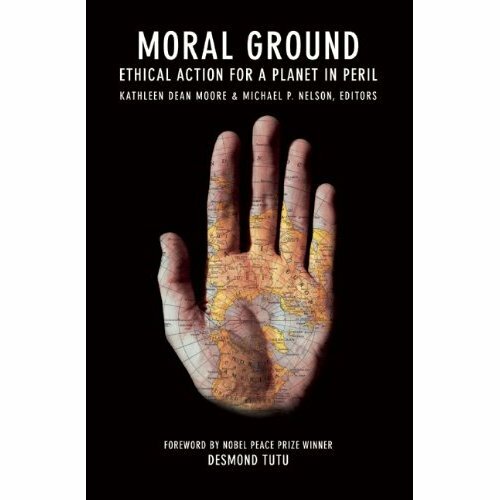 The important new book Moral Ground: Ethical Action for a Planet in Peril explores the notion of the ethical duty to take meaningful action to curb climate change. This is a unique opportunity to hear from some leading voices in this ethical action discussion, and to share your own thoughts and questions. When: 7 pm Eastern time, 4 pm Pacific, January 18. This is a free event, but normal long distance rates apply. This conversation will be moderated by Orion Magazine staffers and recorded. The audio will be made available for listening at any time on Orion’s website. Additionally, Kathleen Dean Moore will be reading at Powell’s Philosophy Café on February 6th, 2011.